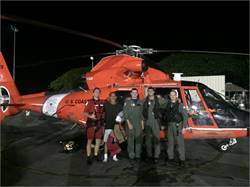 The Coast Guard rescued a mariner in distress near the Kalaupapa Lighthouse off Molokai early Friday morning, less than 12 hours after rescuing six boaters from a grounded sailing vessel off Oahu. 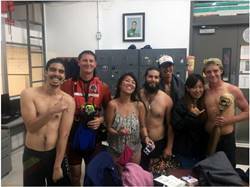 "We are very pleased to have brought seven people to safety overnight," said Petty Officer 1st Class William Cusic, a watchstander at Coast Guard Sector Honolulu. "This is what our crews train for and their dedication to our search and rescue mission paid dividends."